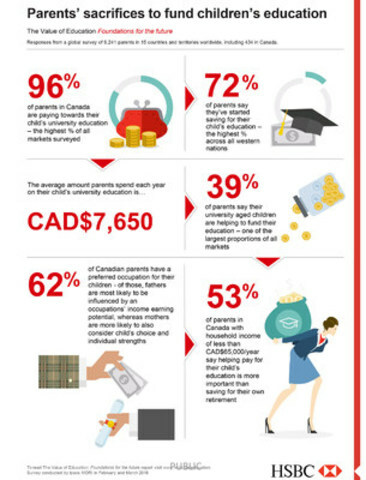 Canadian parents are some of the biggest savers amongst western nations: Seven in 10 (72%) parents surveyed in Canada say they've started saving for their child's education, the largest proportion across all western markets surveyed (US: 65%, Australia: 53%, UK: 46%, France: 43%). When it comes to all markets surveyed, parents in Indonesia (90%) are the most likely to have saved for their child's education, followed by those in India (87%), China (80%), Hong Kong (78%), and Taiwan (78%). 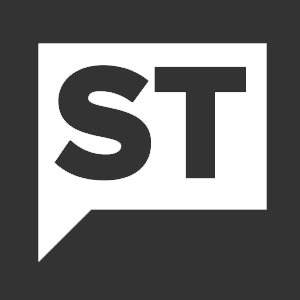 Canadian students most likely to help foot the bill: While nearly all (96%) parents surveyed in Canada expect to be the main contributor of funding should their child go to university – the highest percentage of all markets surveyed – half (50%) expect their child to contribute to funding their own university costs. In fact, 39% of parents say their university aged children are helping to fund their education – one of the largest proportions of all markets surveyed. The less they have, the more they want to give: More than half (53%) of Canadian parents with household income of less than CAD$65,000 per year say helping pay for their child's education is more important than saving for their own retirement, compared to 4 in 10 (39%) of parents whose annual income is more than CAD$65,000. Will that be debit or credit? Just under one-third (31%) of full-time students received a federal government student loan in 20131, and over half (54%) of parents surveyed in Canada also said they'd be willing to go into debt to support their child through university or college. In comparison, parents are most likely to consider taking on debt to finance a child's education in China (81%), followed by Mexico (74%), India (71%) and Hong Kong (67%), and least likely in the UK (43%), Australia (44%) and France (46%). The world is not your oyster just yet: While the vast majority (83%) of parents in Canada say they see the benefits of an international post-secondary education, they are also among the least likely of all markets surveyed to say it's a realistic consideration (21%, compared to a global average of 35%). Your parents' support may come with strings attached: Three in five (62%) Canadian parents have a preferred occupation in mind for their children. Of those, fathers are most likely to be influenced by an occupations' income earning potential (45%). Mothers take a more balanced approach, considering income earning potential (40%), and the child's choice (41%) and individual strengths (43%). If you do want to study abroad, consider investing in Fathers' Day June 19: According to the survey, fathers (25%) in Canada are more likely than mothers (18%) to consider a university education abroad for their child, and are more likely than mothers to have saved towards their child's education (78% vs. 68%). When asked what international experiences they would consider for their child after secondary school. Parents in Canada were more likely to say work placements (36%) versus study abroad programmes. Betty Miao, Executive Vice President and Head of Retail Banking and Wealth Management for HSBC Bank Canada said: "This latest research highlights the degree to which parental expectations, hopes and concerns are universal – transcending geographic, economic and cultural boundaries. Despite the fact they are some of the most likely to say they have saved for their child's education, Canadian parents are particularly concerned about how educational costs will affect their household's financial wellbeing. By having a financial plan to meet their family's overall needs and reviewing it regularly, parents will be better placed to support their children's studies without compromising on their own long-term financial goals. Infographic available for download on Canada News Wire (CNW), highlighting key Canadian findings of HSBC's Value of Education: Foundations for the Future report. The Value of Education: Foundations for the Future report was published in June 2016 and represents the views of 6,241 parents in 15 countries and territories around the world: Australia, Canada, China, Egypt, France, Hong Kong, India, Indonesia, Malaysia, Mexico, Singapore, Taiwan, United Arab Emirates, United Kingdom and United States. The findings are based on a survey of parents from a nationally representative sample in each country who have at least one child aged 23 or younger currently (or soon to be) in education. Over 350 parents (including 150 with a child at university or college) were surveyed in all countries. The research was conducted online by Ipsos MORI in February and March 2016, with interviews in Egypt conducted face-to-face. HSBC Bank Canada, a subsidiary of HSBC Holdings plc, is the leading international bank in the country. We help companies and individuals across Canada to do business and manage their finances internationally through three global business lines: Commercial Banking, Global Banking and Markets, and Retail Banking and Wealth Management. Canada is a priority market for the HSBC Group – one of the world's largest banking and financial services groups with assets of US$2,596bn at 31 March 2016. Linked by advanced technology, HSBC serves customers worldwide through an international network of around 6,000 offices in 71 countries and territories in Europe, Asia, North and Latin America, and the Middle East and North Africa.